Allison “Torchy” Darst, age 78 of Cottage Grove, passed away October 20, 2018. Memorial service will be 10:30 am, Thursday, October 25, 2018 at Kok Funeral Home, 7676 – 80th Street S., Cottage Grove with visitation one hour prior. Inurnment Ft. Snelling National Cemetery. Donations can be made to the St. Croix Hospice Foundation. 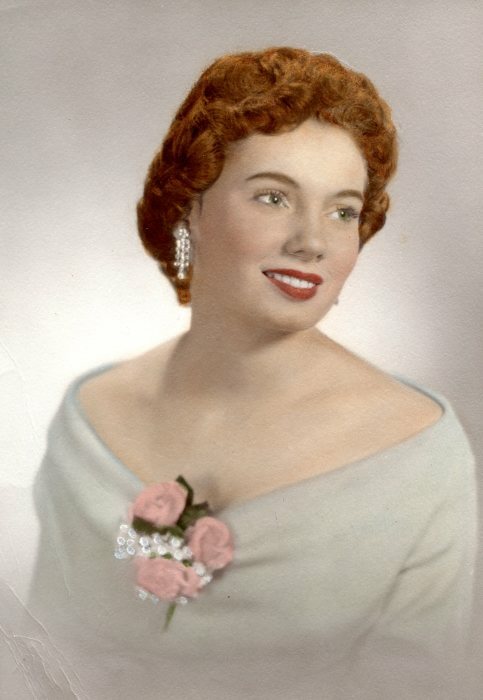 Allison Glenda Humphreys was born December 17, 1939 in St. Paul, Minnesota where she graduated from Harding High School. She was married to Harry Darst on December 20, 1958. After Harry was discharged from the military, they returned to the east side of St. Paul to build a home. Allison became a beautician and was able to operate her own salon for many years. In 1983 when Harry took a job transfer, they moved to Kansas City until returning to Minnesota and made their home in Cottage Grove. She enjoyed trips to the casino and spending time with her children and grandchildren. Allison was a great cook and when it came time for the holidays, she really excelled. She loved to make her home beautiful with projects, flowers and landscaping. She is preceded in death by her husband Harry and son-in-law Timothy Kelly. She is the loving mother of Patrick (Barbara), Gary (Jana), Thomas, Brian (Rachel) and Heidi; 10 grandchildren Jason, Kayla (Theo), Brittany (Nick), Kyle (Nikki), Ashley, Tiffany, Justin, Tyler (Monica), Blaise, Rita; many great-grandchildren Elena, Liana, Holden, Caroline, Deacon and Olive; three sisters Gayle, Faye, Robyn and one brother Craig.